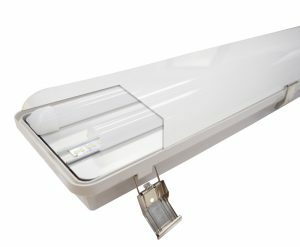 This is an extremely durable IP66 rated fixture with polycarbonate lens and body and stainless steel hardware, so it can go anywhere from the outside of the building to inside the carwash. Designed to be easy to clean while withstanding pressurized water, this fixture is an ideal solution for wash down applications. Available in 2’, 4’ or 8’ lengths, the Advantage series is perfect for any area where impact, dirt, and moisture are a concern. Need perimeter lighting? Let the Hercules protect the far corners of your lot by illuminating dark parking spots, air pumps and vacuums. 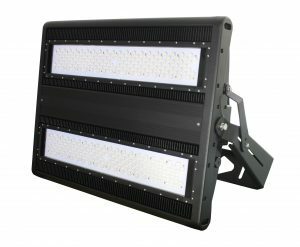 This powerful flood features multiple wattages going up to 660W, 2 mounting methods, and 6 available beam angles. Built to last, this fixture body is made of a rust-free aluminum alloy. These are used when you like the look of your current fixture, but hate paying those high electric bills. 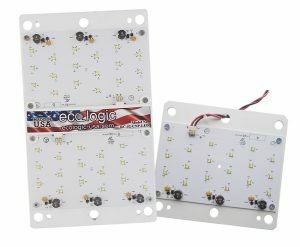 Using integrated LED technology, you can replace a 400 watt metal halide with a 60W kit and get the same light levels. Multiple lumen packages are available to replace canopy and perimeter lighting. This kit features versatile mounting options so you can retrofit just about anything, in under 15 minutes per fixture. This fixture was made for Canopies! Fuel stations are the ideal application for the Osprey Canopy LED. 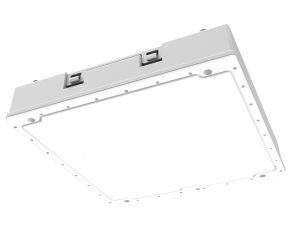 The polycarbonate lens, aluminum housing, and IP65 rating mean that impact, dirt and moisture will not affect the performance of this fixture. No bugs will be able to infiltrate the fixture either. This fixture is Title 24 compliant. The Osprey is very contractor friendly with a handy surface mount installation handle.